South Oak Bay Homes are Very Popular, check out my live map of South Oak Bay Homes For Sale. Come back often this map is live and new listings are added often..
Of course you can signup here to receive automated Emails in your email in box with New Homes For Sale Oak Bay Victoria BC Daily. I have also created a HOMES FOR SALE IN All of OAK BAY VICTORIA, BC search for the Newest listings that will help you find all the latest Homes For Sale in Oak Bay on MLS for the Last 6 Days…. No Need to Sign up, Just call me Fred Carver 250-598-2963 And I'll help you find the Home For Sale in Oak Bay for YOU and your family. There are Currently 32 Single Family Homes For Sale in South Oak Bay ranging in price from $619,900 to $8,999,000 on the Oak Bay Waterfont, there is a home for everybody's budget. Find out more about Oak Bay including house photos and more on HOMES FOR SALE In OAK BAY on my Oak Bay page on my web site. 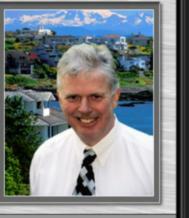 Map Search of South Oak Bay Home For Sale in South Oak Bay Victoria BC. The Oak Bay Population in the 2006 Census shows there are 17,908 people residing throughout the Municipality. The Oak Bay Muncipality was incorporated in 1906. Before incorporation from the mid 1800 many fur traders, farmers and the Songhee's First Nation people made up the local landscape living near the Hudson Bay Company's Fort Victoria . Prior to these times the Spanish and English explored the waters around Vancouver Island and Oak Bay in search of the North West passage and trade with the local natives. Check out the Oak Bay Heritage web site and the History of Oak Bay website for more information about the making of Oak Bay. Great information...thanks for sharing and make it a wonderful day! Hi Kristin Johnston, Waukesha Realtor 414-254-6647 , it was a perfect day weatherwise, I started with staining my house trim, should be finished tomorrow. Fred, Oak Bay was where we ended up one night wandering around looking at the beautiful homes.